Mini-Review here: Yet another story where fairy tale characters exist and go to boarding school to teach them to be a hero/heroine or villain. Much overused trope lately, methinks. 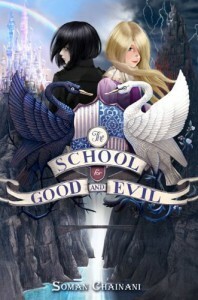 In this one, Sophie and Agatha are kidnapped from their village and forced to go to the "School of Good" or the "School of Evil." Sophie has always thought of herself as a good, beautiful princess and is astonished that she's sent to the School of Evil. Grumpy Agatha has always thought of herself as ugly but ends up in the School of Good. Chaos ensues. Actually, I thought this was a reasonably decent book. It wasn't brilliant but I didn't think it was horrible either. I wouldn't have bothered to write this if I hadn't been so disgruntled by some of the the negative reviews of this book I've read. The main complaint that I have an issue with is that people keep saying that the characterizations of Sophie and Agatha are inconsistent. Me? I rather thought that was the main point to the book. Sophie is shallow, selfish and vain. All the good things she does is to help herself, not because she really wants to help someone else. Eventually she realizes that she's actually in the right school. Yet even after this, she ends up doing something good. Agatha is supposed to be pure and self-sacrificing but she helps her friend cheat so that they can go home -- not because she really wants to help Sophie get the prince. It's so she can have Sophie to herself again. She also has a moment of glee when the prince chooses her instead of Sophie. Yet Agatha also has an immense amount of sympathy for the downtrodden characters in the story and does some things that are really, truly good. So, yes, the characters are inconsistent. Sophie isn't always evil and Agatha isn't always good. But that was the point of the story -- Sophie and Agatha are human, not caricatures of good and evil. Ultimately, this book is about choice. Sophie wants to be good -- she wants to love and be loved. So, if the characterizations are inconsistent, it's because people are inconsistent. 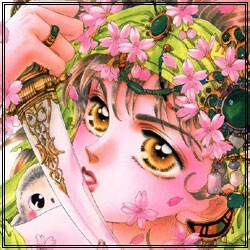 Oh, I loved the subversive "who needs a prince?" bit at the end, btw. Final Verdict: Good, not brilliant. Worth a read, even if only to make up your own mind.